I was up early on Tuesday and out on the rocks by about 5.00 am. I was actually up too early as the sky was only just beginning to glow on the horizon. 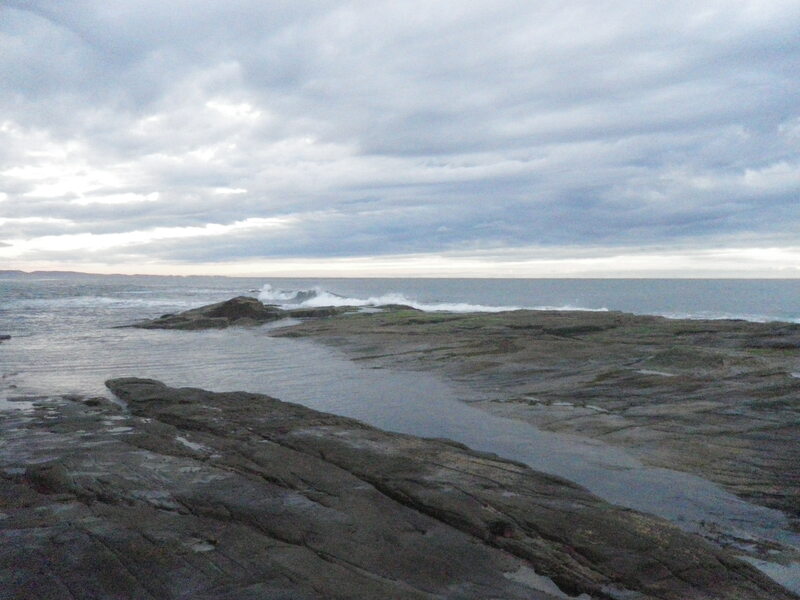 I walked south from the Woody Head campground across the rock platform to an area known locally as “The Barnacles”. This is another spot that can only really be safely fished on a run out to low tide with a minimal swell. Fortunately I had both happening this morning. It was still too dark to see where I was walking or casting, so I stopped and used my headlamp to rig up my rod about 10 metres back from the edge on a dry rock. I was using the new Daiwa 9 foot 6 inch Demon Blood rod, my Shimano Stradic 6000 reel loaded with 20lb Fireline and a 30lb fluorocarbon leader. The pumpkinseed coloured soft plastics have almost always helped me catch good fish around this area, so I started with a Gulp 5” Pumpkinseed Jerkshad soft plastic. From about 5.30am I moved up and down ‘The Barnacles’ casting out over the stepped rock ledges, pausing the plastic for as long as I could without getting snagged. As the sun came over the horizon I felt a light tug on the plastic. I dropped the rod tip, paused and then lifted – bang zzzzzzzzzzzzzzzzzz – I had a fish. It was a good fish and it took a lot of line initially. I tried to turn its head and for a while it swam towards me, then it took off again. I tightened the drag but it was still pulling hard. Eventually I truned it back towards me and recovered some line. Fortunatley, the swell was playing on my side and it was just at the right height to wash the fish over the ledges towards me. I lifted it over the first ledge on one wave and then let another wash it over the next ledge. I could now see it was a monster Tailor. I decided to go and meet it. I stepped down and grabbed it behind the gills, pulling it clear of the water. 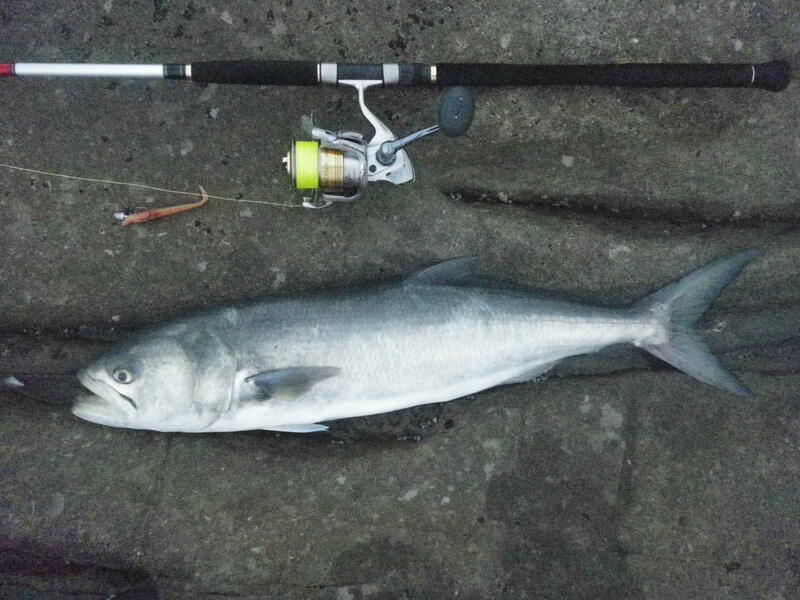 It was a beautiful 5.18kg, 90 cm Tailor. That’s a personal best Tailor for me and I doubt I will get one that big again anytime soon. I bled the fish and then hauled it back to the cabin and then into town, to weigh and photograph it. This entry was posted in Fishing Reports, Iluka. Bookmark the permalink.